CinderBio uses proprietary technologies to make a new class of ultra-stable enzymes for industrial applications. Enzymes are biological machines that break down or build up biological materials, but currently available industrial enzymes have been limited to a narrow range of temperature and acidity. CinderBio enzymes work at much higher temperatures and in more acidic conditions—even in boiling acid—expanding the reach of enzymes into new markets and industries. 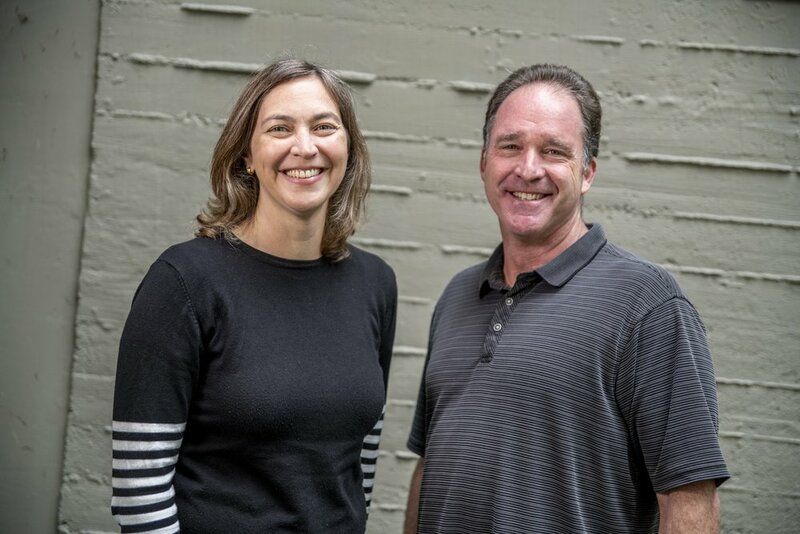 Jill Fuss and Steve Yannone founded CinderBio in 2012 from research conducted in the Yannone group at Berkeley Lab. Fuss earned a B.A. in environmental science from Wesleyan University, a Ph.D. in molecular and cell biology from UC Berkeley, and was a postdoctoral fellow and research scientist at Berkeley Lab. Yannone earned a B.S. in biochemistry from UC Riverside and a Ph.D. in molecular biology and biochemistry from UC Irvine followed by a two-year postdoctoral fellowship at Los Alamos National Laboratory and seventeen years leading his group at Berkeley lab as a principal investigator. Fuss and Yannone shared a Berkeley Lab Director's Award for exceptional achievement in technology transfer in 2016 and Fuss was recognized as a Berkeley Visionary in 2015 by the Berkeley Chamber of Commerce. CinderBio teams have won cash awards at the Stanford BASES E-Challenge and FLoW DOE National Clean Energy Business Plan Competition and participated in the Berkeley Haas Cleantech to Market course, SkyDeck, and Plug and Play New Materials Batch 4. CinderBio was awarded SBIR Phase I and II awards from the National Science Foundation. Currently available industrial enzymes are produced in either bacteria or fungi that function in moderate environments, limiting their operation to only a fraction of the wide range of acidities and temperatures found in industrial processes. Yet, many industrial applications span a wide range of conditions, so the industrial enzyme market has not fully met the needs of industry. These unmet needs have limited the growth of the global industrial enzyme market, and efforts to either engineer or bio-prospect genes have produced only incremental improvements in acid and temperature stability. Since no other technology has been able to produce enzymes that operate in hot, acidic conditions, our enzymes compete with chemicals directly. Enzymes are biodegradable, non-toxic, and sustainable. They also catalyze many reactions per enzyme so small amounts of enzyme can perform the work of large amounts of chemicals. We have developed a new enzyme production platform that makes possible commercial production of the most extreme enzymes known. Successfully deployed, our enzymes will advance low-carbon, economical liquid fuel and chemical production from biomass. The commercial development of these ultra-stable enzymes will enable new technologies, new sustainable practices, and expand the use of alternatives to harmful chemicals in many industries. Our enzymes have the potential to transform many industries by replacing harmful chemicals, enabling new chemistries, and providing significant time, water, and cost savings.